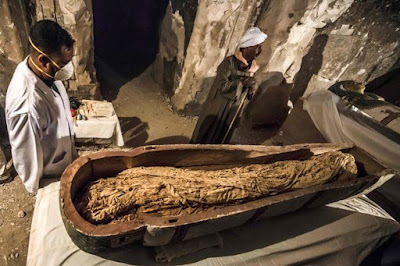 A mummy of a woman found almost perfectly preserved inside a coffin in Egypt dating back more than 3,000 years was unveiled today. The ancient coffin, called a sarcophagus, was one of two discovered in El-Asasef, Luxor, on the bank of the River Nile. 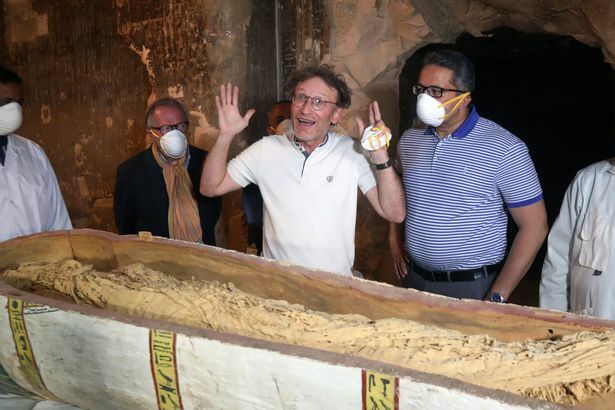 And today authorities had for the first time opened a previously unopened sarcophagus before international media. 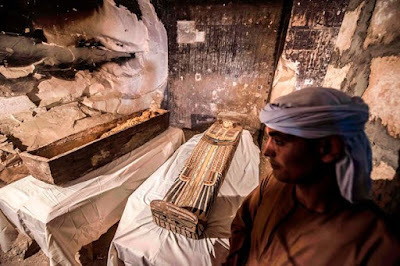 "One sarcophagus was rishi-style, which dates back to the 17th dynasty, while the other sarcophagus was from the 18th dynasty. 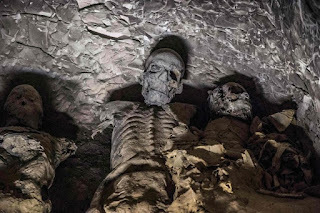 "The two tombs were present with their mummies inside," Egypt's Minister of Antiquities Khaled Al Anani said. This is exactly how new diseases get introduced into our modern world.